We have no claim to bring to God! We have no right to demand salvation! We have no power within us that can hold on to life! Only God's love can bring us life, hope, and grace. Only God's mercy can bring us salvation. Only God's gift of Christ can awaken us from the death-slumber of sin. 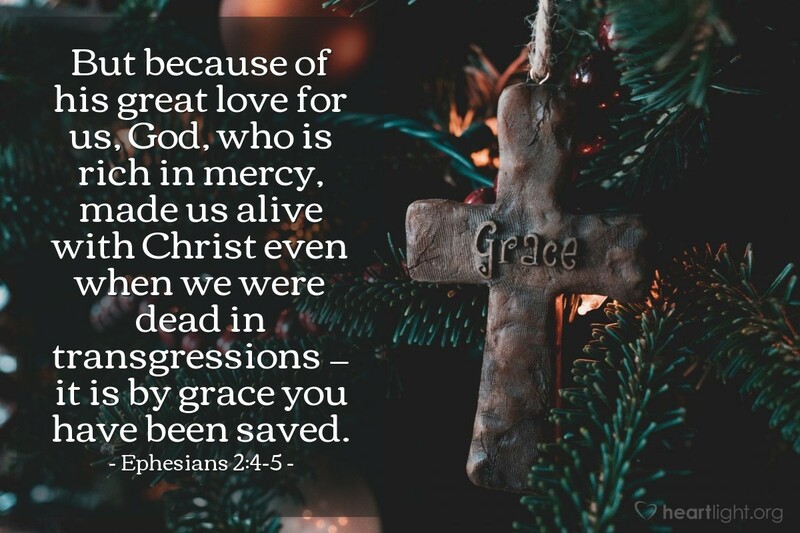 Your love, mercy, and grace have saved me, dear Father. What can I do to praise you? You have shown your might, holiness, and majesty in redeeming me, dear God. What can I do to repay your grace? Your patience, perseverance, and faithfulness have touched my heart and brought me life. How can I ever find the words to say how much I love you? Thank you, dear Father, thank you for all you have done for me. In Jesus' name I pray. Amen.